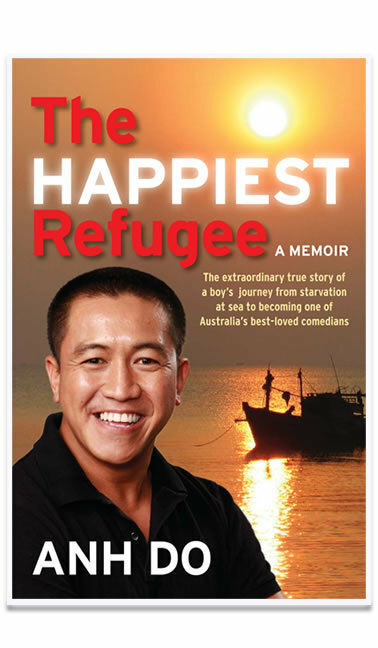 If you haven't read Anh Do's The Happiest Refugee (the 2011 Australian Book of the Year) now's the time to get onto it because the live show is coming. I loved, loved, loved the book which is Do's autobiographical tale of his life from refugee (his family survived pirate attacks to escape Vietnam on an overcrowded boat) to comedian, husband and dad. The stage show promises to take things 'a step further' by combining a mix of comedy with the real life stories and photos as well as some filmed pieces. I have my tickets already and would recommend you get your's now too. The show promises a night of joys and sorrow and a feeling of being uplifted. I also loved the book. Will be getting tickets to the show. I've seen Ahn Do at the Comedy Club a couple of years ago and loved him. He's been one of my fave comedians since he started out so many years ago. He's definitely worth the price of the ticket and I'll be trying to get some.Do yourself a favour as Molly says and go and see Ahn Do. LOVE,LOVE,LOVE!!!!!! !